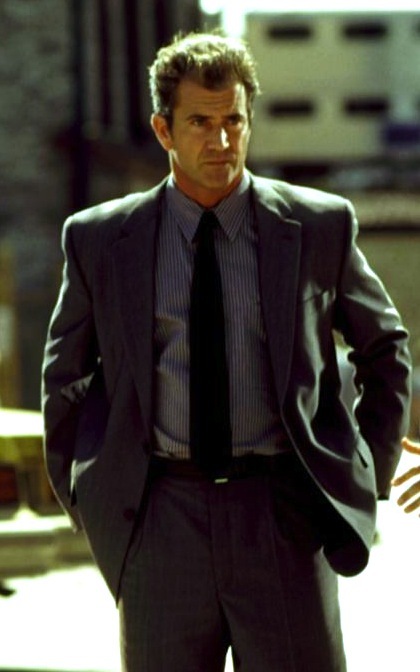 Mel Gibson as Porter in Payback (1999). Payback is one of those movies that I always enjoy more than I expect to. Short, sweet, and self-aware, it lives in the same universe as Archer where decades are blended to create one ambiguous super-era with cars, clothing, technology, and pop culture spanning the 1970s through the 1990s though clearly meant to be a throwback to the Charley Varrick era of the early 1970s when pulp crime dominated screens. The story itself is an old and well-adapted one, dating back to Donald E. Westlake’s 1962 novel The Hunter about a mob heistman named Parker who lives by his code and seeks revenge against those who wronged him. The novel was first adapted as the excellent and badass 1967 thriller Point Blank with Lee Marvin as the protagonist, now renamed Walker. More than thirty years later, director Brian Helgeland teamed up with action star (not yet known as a rambling racist) Mel Gibson to create Payback, updating the story without losing the mise-en-scène of a gritty ’70s crime film. In 2006, Helgeland released his original director’s cut, widely regarded as vastly superior to the theatrical Payback. Cutting out the gratuity in the explosions and narration, this director’s cut is a much clearer nod to the tougher, sordid films of the ’70s like The Friends of Eddie Coyle, Chinatown, and The French Connection with an uncompromising anti-hero in a world of colorful sociopaths. The suit jacket is single-breasted with standard notch lapels. It has padded shoulders with roped sleeveheads and a ventless rear. The jacket has a 2-button front, but Porter always wears it open. It has a welted breast pocket and flapped hip pockets. Due to the jacket’s large fit, the sleeves – with their 4-button cuffs – are a bit too long for Gibson and often totally conceal his shirt cuffs and even creep up past his wrists onto his hands. We see much less of Porter’s trousers, but they are lower rise with belt loops – worn with a black leather belt – and single reverse pleats. The bottoms are plain-hemmed with a full break. Porter’s shirt has alternating stripes of light gray and dark blue that bring out the hint of blue in the suit color. The collar has a moderate spread, and the rounded barrel cuffs close with a button. All buttons, both on the French (placket-less) front and the cuffs, are black plastic. The shirt also has a breast pocket over the left chest. Porter wears a very dark tie in charcoal blue silk with a very subtle left-down-to-right stripe and light gray dot motif. From a distance, and in dark lighting, it appears to be solid charcoal but close-ups reveal the true color and complexity. Porter’s plain-toe shoes are black leather to match his belt with black socks. Typically, socks should match the trouser rather than the shoe, but the trouser break is so long on his suit that it’s not as important here. Plus, Porter is dressing to (literally) kill, not to impress. He wears an unidentified stainless wristwatch with a white dial and black leather strap. Despite his wife’s betrayal, he still wears a plain gold wedding band on his left ring finger. Porter spends the night on his wife’s couch wearing only his white sleeveless ribbed undershirt and his boxer shorts. The boxers are light gray with a subtle tonal stripe. They also have an elastic waistband and side vents. Porter wakes up with a cocked .44 in one hand and knocks out a drug courier a few minutes later… all pretty badass for a guy in his underwear. Porter gives us all a few streetwise lessons on how to get your way back to the top over the span of one day as he transforms himself from a dirty and forgotten bullet-ridden nobody to a well-fed and well-armed man in a Brooks Brothers suit. First, you’ll need some quick cash. Porter swipes his from the hat of a rude homeless man shouting obscenities on the street. You might get some angry looks from people if you steal from the homeless, but one shouting obscenities doesn’t quite get the spirit of the whole thing. Next, you’ll need some ID. Walking down the street, Porter finds a guy who looks reasonably similar to him. After a clumsy stumble and apology, Porter walks away with the guy’s wallet. Pickpocketing takes more finesse than just grabbing cash from a hat, so Porter’s years of criminal experience come in handy. After using the cash to spruce himself up, ostensibly buying soap, a tie, and a comb, Porter strolls into a bank and uses the swiped ID to open up a credit card. Time is crucial for Porter here; he needs to obtain his account before the man alerts anyone to his stolen identification. Appropriately enough, the film’s costume designer Ha Nguyen receives on-screen credit just as Porter is trying on his new suit. Porter then defines his priorities. He has a quick window of time to use the credit card, and he needs new clothing, a firearm, and food… in that order. He heads to Brooks Brothers and is fitted for the suit described above, with plenty of room for him to move. We next find Porter at a jewelry store, buying several pieces that we know he’ll never wear. Instead, he finds a pleased buyer for the jewelry at a local pawn shop. Flushed with cash from the quick transaction, he eyes his tool of justice – a .44 Magnum Smith & Wesson – and heads out on his way. One last stop finds Porter in an upscale restaurant, fortifying himself with steak and coffee. Now properly fueled, he lights a few cigarettes, leaves the restaurant without paying (the “dine and dash” is one of the oldest tricks in the book), and stakes out his ex-wife’s pad. While some people unfamiliar with the film might read that last sentence and worry about a Scorsese-in-Taxi Driver-type scenario, Porter’s intentions are far less misogynist. All he wants is his money back, and her place is the best first lead he has… given that she shot him and left him for dead on the orders of his duplicitous ex-criminal partner. 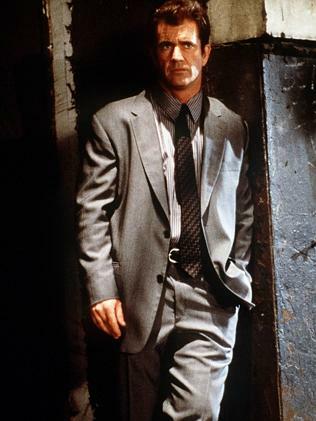 Although Porter is a very ’70s anti-hero, he dresses very contemporary for 1999 as he suits up for his path for vengeance. After pawning some honestly-purchased jewelry (albeit with ill-gotten funds), Porter checks out the pawn shop’s selection of firearms. Like his predecessor Walker in Point Blank, he chooses the imposing Smith & Wesson Model 29 revolver, part of Smith & Wesson’s imposing N-frame series of revolvers and chambered for the legendary .44 Magnum cartridge. Porter neglects traditional business practices by pointing his gun at the very man he’s buying it from. Made famous by Clint Eastwood in Dirty Harry, the Model 29 was developed in the 1950s and was – as Eastwood so famously said – the “most powerful [production] handgun in the world”… at least for a while. Now superseded by larger rounds like the .454 Casull, .480 Ruger, and .500 S&W Magnum, the .44 Magnum remains popular both for its heritage and its stopping power. At the time of its use in Point Blank in 1967, the Model 29 was mostly known and used only by firearms aficionados and some gung-ho LEOs. Its use in the gritty Lee Marvin crime film did little to bolster its popularity among the masses, as unfortunately few flocked to see it. Dirty Harry, however, jumpstarted the revolver’s popularity and, soon, Smith & Wesson could barely keep them in stock. Although some later continuity errors in Payback show Porter using the similarly-framed (but tapered barreled) S&W Model 28 in .357 Magnum, the Model 29 returned as his weapon of choice. The particular model used in the film, serial #AED9164, had a 4″ barrel and custom walnut grips by Peter Orr. It was rented for use in the film from Stembridge Gun Rentals, which has been providing movie-ready firearms to Hollywood since 1920. Buy the movie… and make sure it’s the director’s cut. I’m gonna get my money back. I would like to know your readers’ opinions of Brooks Brothers suits. The stigma of Brooks Brothers being a favorite of undertakers and nebbish accountants has left me fearful of purchasing one, but I do like some of what they currently offer and have thought about purchasing one. I have seen both versions of Payback and don’t really like either. Mel Gibson’s desire to go with a “likeable” lowlife only underminded what could have been a classic film. Point Blank, Get Carter, and The Getaway all had a protagonist that was a mean, rotten SOB, who essentially went unchanged through the course of the film. Those films had a rough edge to them that added realism and made them more interesting to watch. Gibson at the time Payback was released was at the height of his popularity and clearly didn’t want to take any chances with an edgy character that may have annoyed his fan base. The result was a pretty bad film when compared to earlier hard boiled flicks. When responding to one of Mohammed’s replies a while back, I recommended a movie called The Outfit with Robert Duvall. Duvall plays the same character that Lee Marvin and Mel Gibson did, only this time he is named Macklin. I look forward to purchasing the Director’s Cut. The DVD is not available in the UK, so I could not buy it last year. However, the blu-ray is avalaible and contains both cuts. I purchased a blu-ray player some months back. So, lucky me! I did not notice the 70’s vibe you mention, which I assume is a result of the tampering to produce the theatrical version (which I do like very much). Great suit, even though the arms may be a tad long. I guess I gravitate towards suits with room to move as a result of my disappointment with/feelings of annoyance towards the tight-suit fad (which I complain about far too much). I now understand what you mean when you say that it is best to use a character’s style as a template rather than attempting to emulate 100%; I cannot pull off the gold wedding band part of this look since I am not married yet! I do not know anything about guns (and am reluctant to do much research in case anyone at GCHQ gets the wrong idea, especially with my name, hehe). You mentioned that Porter’s gun was made famous by Dirty Harry but I remember Callahan’s gun barrel being twice as long. I know I’m missing something; what? It’s the same model of revolver except that Dirty Harry’s model 29 had a 6 inch barrel and Porter’s model 29 had a 4 inch barrel. That simple, huh? Thanks, Craig!